Labor Day is the last hoorah of summer. Before you head out to the beaches, parks, swimming pools one last time this summer, read about how to prevent sun damage, and how to treat it if you do. I can’t emphasize this enough: protect the skin on a daily basis using a full-spectrum sunscreen with an SPF of 15 or higher. If you are active throughout the day, remember to reapply your sunscreen. The most effective sunscreen is useless unless you reapply after swimming, sweating and after an extended period of time. Just because you apply a higher SPF rated sunscreen doesn’t mean you don’t have to reapply as often. 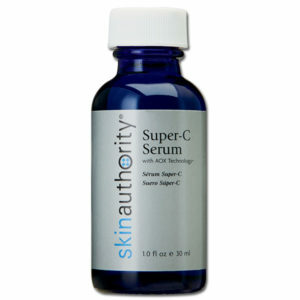 Powerful antioxidants like vitamin C help protect the skin against UV rays, too. The right Vitamin C can multiply the effectiveness of your sunscreen, so I urge you to apply a C serum daily underneath your sunscreen moisturizer. You should resurface the skin on a consistent basis. Resurfacing is a way to exfoliate the skin that gently dissolves dead skin cells, some of which are likely to be discolored on the skin’s surface. Consistent resurfacing not only evens the skin tone, it helps combat aging and balances the skin’s pH for hydrated, healthy skin. What happens if you feel sunburned? Immediately get out of the sun and take a short, cool shower or bath. Don’t use soaps or body washes that contain fragrance – they dry and irritate the skin. After, apply a light fragrance-free moisturizer that contains anti-inflammatory ingredients like mango, shea butter, cucumber and aloe. After the burn subsides, we recommend preventing damage – such as spots, wrinkles and fine lines – by using a skin product that calms redness, exfoliates sun damage and suppresses any further sun damage from appearing. This entry was posted in Celeste's Corner, Healthy Lifestyle, Skin Care Essentials and tagged Moisturizer, Resurfacing, SPF, sun damage, sunburn, Vitamin C by Judy Voce. Bookmark the permalink.